Rad Trailer Debuts a Radiation Fueled 3D Action-Rogue-like | Nerd Much? 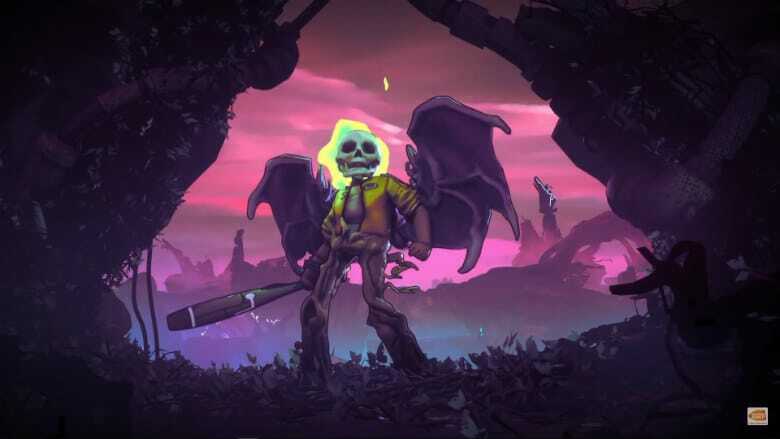 The good folks at Double Fine Productions have joined forces with Bandai Namco Entertainment to debut their first Rad trailer. The title is described as a 3D action rogue-like, set within a “post-post-apocalyptic world”. The Rad trailer depicts a universe in which “humanity has faced Armageddon not once, but twice.” And as your character traverses this doubly destroyed world, he’ll inherit a slew of unique abilities. Bandai Namco and Double Fine break the game down for us. Within Rad, “players take on the role of a teenage protagonist who must venture into the Fallow — an ever-changing, radioactive wasteland filled with unknown and unspeakable creatures. It’s here that they’ll find the solution to heal the world, and transform the cracked, barren landscape into a lush source of new life. But humanity’s future comes at great personal cost, as the deeper they journey into unknown lands, the more they will expose themselves to gnarly toxins which will wreak havoc on their fragile human form. Those “gnarly toxins” look like they do a number on our hero within the Rad trailer. We see him mutate into a series of different forms. At one point with see a transformation into a snake. Another gives Rad a beastly left arm. With a third offering the bottom half of a tree. These transformation also included added abilities for our character. There are projectile skills that are added to your arsenal. And another that sees Rad dropping blobs behind him. Those blobs then evolve into small, four legged creatures with a head matching your own. They’ll follow behind you and creepily assist you in battle. Double Fine and Bandai Namco also confirmed that they will offer a closed beta on Steam beginning April 8th. The title will also be coming to PlayStation 4, Xbox One and Nintendo Switch sometime this summer. For a list of all the other indie titles headed our way, we have a list right here. Or you can just find all the titles that are coming in 2019 here.